Happy Friday. Sorry for the slow week of posting, but I've been trying to get this Alibi article written. I'll get something good written someday. Yes, I know, that'd be a first. 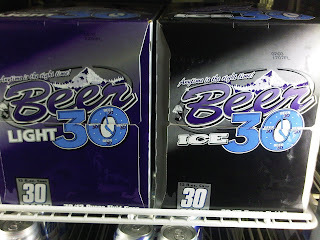 In the meantime, grab yourself a Beer 30 Ice and drink your cares away. Don't Sing Oskar's Blues Just Yet!